How Do These Two Creatures Benefit Each Other? The clownfish is a type of fish that lives in salt water habitats north of Australia and east of China. It is also called an Anemonefish. 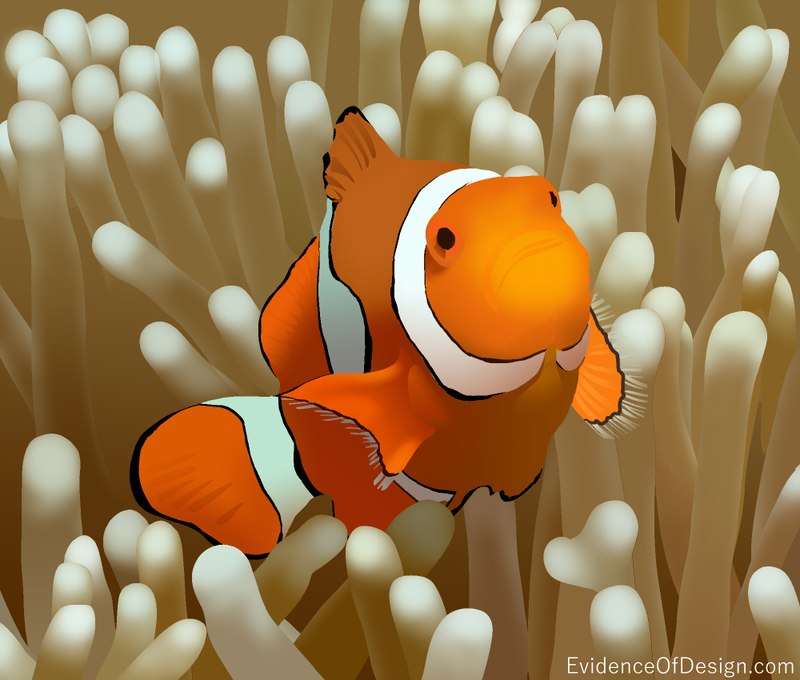 Clownfish became famous through the movie Finding Nemo. They are typically very bright, orange fish that have three white stripes, one at the head, middle and tail. The clownfish can grow to be from 2 to 5 inches long and with that coloring and size, it would become easy prey for many other sea creatures. Anemones, on the other hand, are a plant looking animal surrounded by many tentacles that are able to sting its prey and then eat it. The clownfish live in these tentacles, free from the danger of predators who would be food for the anemone. But how can the clownfish live in these tentacles without getting stung? Clownfish have a slimy mucus covering their bodies that protects them from the sea anemone. If this covering is wiped off of a clownfish, it will get stung and possibly be killed when it returns home to the anemone. We already saw that the anemone protects the clownfish from predators. In turn, the clownfish will do three things for the anemone. First, the clownfish is very active. It got this name from its coloring and from what appears to be ‘clowning around.’ This activity stirs up the waters and brings by more fish and algae for the anemone. Second, the clownfish defends the anemone against its predators. Third, the clownfish will clear away the remains of fish or algae eaten by the anemone. This, of course, provides a free meal for the anemone. I like this article very much. Now i understand about anemone and clownfishes. This theory is built on a lot of ‘maybe’s. Survival of the fittest is a cruel process, and can by no means create better information and animals. This can only come from a more intelligent source – God.